Today is a very special day for me (eek!). I stopped being excited about my own birthday years ago. Apparently, that’s what happens when you get OLD so be warned you youngsters! (As a side note, I have a BIG birthday coming up this year so if you can’t find me in August, then you now know why!). But that doesn’t mean that I can’t get excited about my little piece of the internet having a birthday, oh no! Two years ago today I stepped, with trepidation, into the world of book blogging. What I didn’t realise at the time was how one little hobby was going to completely change my life. I didn’t realise how much I could fall in love with book blogging and how my love for books and reading would continue to grow and grow. But most of all and the one thing I really didn’t expect was that I would make real, lifelong friends. If you’re considering starting your own book blog and you feel you have the time (oh.my.gosh. I promise it will take more time then you’re expecting) then I, as a stroppy, cantankerous, self-centred two-year-old, urge you to do it. I’ve not regretted starting damppebbles.com for one moment in its two-year existence. I’ll stop blathering on now. Two thousand and seventeen was a great year for damppebbles. More and more people managed to get the name of the blog right (damppebbles, not Damp Pebbles nor DampPebbles). In fairness people also managed to get it very wrong but hey, there was an improvement which is the important thing. All in all, it’s been a pretty wonderful year for damppebbles culminating in something which began as a small idea and grew into something quite huge; R3COMM3ND3D2017. I published my final post first thing this morning, followed by the after-show party post which you can read by clicking here. Dancers in the Wind by Anne Coates (Hannah Weybridge #1) SIGNED! Dead Man’s Prayer by Jackie Baldwin (DI Frank Farrell #1) SIGNED! CWA Anthology of Short Stories edited by Martin Edwards HARDBACK! The copies of Dancers in the Wind and Dead Man’s Prayer have been signed by the authors (thank you Anne and Jackie)! It’s my giveaway and I’m still completely bowled over by what’s on offer here. I would like to take this opportunity to thank some incredible people for their very kind and generous donations to this prize package; Karen Sullivan at Orenda Books, Jackie Baldwin, Anne Coates, Abigail Osborne, A.C. Hutchinson and Fahrenheit Press. Thank you all so much for supporting my little blog. To win this uber book bundle all you have to do is be following damppebbles.com – either via email or the WordPress reader. Click on the Rafflecopter link below and follow the instructions! One UK winner will be selected at random as the winner. There is no cash alternative. The winner will need to provide their address and I expect the package will be sent via courier rather than through the post. I will also need to pass the winners address to Fahrenheit Press so they can send a second package containing the Derek Farrell books and the Jacqueline Chadwick books. All entries will be checked to make sure they are accurate. Any questions then please do give me a shout! Thank you so much to all of my gorgeous fellow book bloggers, the incredibly talented authors, the brilliant publishers and the dedicated book addicts who follow damppebbles. If it wasn’t for you I wouldn’t have lasted the two years I have! You have made every moment brilliant. When I first started the blog I didn’t expect anyone to follow me and now, here I am with nearly 7,000 twitter followers, just over 700 blog followers, nearly 750 Facebook followers. It’s a dream come true and I am thankful every single day. Thank you! I can’t wait to see what the bookish world has in store for us in 2018! It is my great pleasure to welcome one of my very favourite book bloggers to damppebbles today, the super lovely Gordon Mcghie of Grab This Book. I am particularly thrilled to have Gordon join me as it’s the last #R3COMM3ND3D2017 of the 2017 series and we’re going out with a bang. Gordon is the person I blame the most for my book buying habit, so if you’re looking to restock your TBR then make a point of following his blog! You won’t regret it. Plus, it may be ‘someone’s’ blogiversary today and they’re entering the troublesome twos (expect much foot stamping in the supermarket and the occasional tantrum because the food on my plate all touches! Hahaha). Anyway, back to #R3COMM3ND3D2017. #R3COMM3ND3D2017 is where I invite authors and book bloggers to shout about three books they love. Any three books, providing they were published in 2017. As I said, this is the last of the 2017 series but #R3COMM3ND3D will return on 1st November 2018 featuring all of the bookish delights we have experienced during this year. If you would like to take part then make sure you bookmark THIS page and pop back when you’ve found your three books. Let’s face it, 14th January may be a smidge too early to fill the form in! Take a feisty Scottish lead character. Drop her into a remote Canadian town where she is bound to offend the locals with her “forthright” approach to life. Then pit her against a sadistic killer. A dark, clever thriller which I could not put down. I love a good ghost story and Neil Spring writes a damned fine creepy tale. You may have caught The Ghost Hunters on ITV last year? The Lost Village takes the same lead characters and has them investigating strange occurrences in an abandoned village on Salisbury Plain. Chilling storytelling. Dominic Queste is a smart mouthed investigator who never knows when to keep his mouth shut. Unfortunately his quips and puns will not be enough to keep him out of trouble. Queste is being stalked by a sadistic killer who wants to torment Dom before bumping him off…it is a shame Dom is too busy looking for a butcher to worry about a stalker. Brilliant recommendations, thank you Gordon! I’ve downloaded ‘The Lost Village’ thanks to your recommendation. I do love a ghost story. I already have a Jacqueline Chadwick and a Douglas Skelton on the TBR so I’m even more excited about reading those now. I am Gordon and I have been running my blog: Grab This Book since 2014. In June 2017 I won a UK Blog Award when Grab This Book topped the “Hidden Gem” category – this may be why you have not heard of me! Thank you so much for joining me today, Gordon. My thanks to all of the book bloggers, authors, reviewers and everyone else who has played a part in the success of this series. It was a tiny idea which has grown into something quite magnificent. I have LOVED every minute and I cannot wait until we’re on the #R3COMM3ND3D2018 road. Roll on November 1st 😄. It is my great pleasure to welcome the lovely Claire Knight to damppebbles today. Claire has been the awesome guest reviewer over at CrimeBookJunkie for a while now, alongside the fabulous Noelle Holten, and joins me today to share her #R3COMM3ND3D2017 reads. #R3COMM3ND3D2017 is a chance for book bloggers, reviewers and authors to share three recommended reads. Three must-read books they want to share with the rest of us. The only stipulation being, the books must have been published in 2017. Oh Lordy, this book!!! It is so different and dark. Every time I think about it, it draws me back in! The concept of the book is justice but not a form of justice that you have seen before. Live broadcast justice on the dark web. It’s just ingenious! This is not exactly a crime novel, but it’s a dark and emotional read. I adore Louise Beech’s writing, it’s addictive. She’s not someone to be pigeonholed, she is in a genre of her own! Alongside the Jake Boulder series by Graham Smith, this book has reignited my interest in Stateside crime novels. This book is brutal with the murders, packed with tension and a total rollercoaster! How is this the author’s first crime novel? 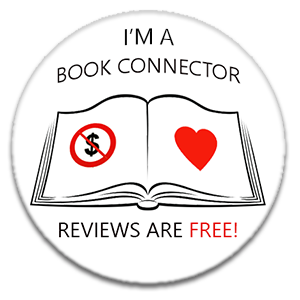 I’m Claire and I’m a guest reviewer over at Crimebookjunkie. I have loved crime fiction since I discovered the secret seven and famous five before moving onto true crime and then into the more adult crime fiction. Watch out for Claire’s very own blog coming to the internet on 1st February. We’re sad you’re leaving CrimeBookJunkie Claire, but can’t wait to see your brand spanking new blog! My thanks to Claire for joining me today. Make sure you stop for the penultimate #R3COMM3ND3D2017 tomorrow when I welcome author Jonathan Mark. It is my great pleasure to welcome the fabulous Ayo Onatade of Shotsmag Confidential to damppebbles today. If you’re a fan of the crime genre (and why wouldn’t you be?!) then you must start following Shotsmag Confidential as it’s non-stop crime fiction – absolute heaven. I am thrilled to have Ayo join me today to share her #R3COMM3ND3D2017 reads. #R3COMM3ND3D2017 is an opportunity for book bloggers and authors to shout loudly about three of their favourite books. The only proviso being, the books must have been published in 2017. A brilliantly written thriller that is the first in a new series where two killings expose small town tensions for a hard drinking black Texas Ranger. Injustice and institutional racism laid bare. An anthropomorphic steampunk roller coaster of thrills, humour, and mystery graphic novel that brings to the fore the enjoyment of cross-genre fiction. This is the second book in a trilogy that features a PI turned hitman who is also the last working Robot. Set in the 1960’s this is a mash-up science fiction and a noir mystery novel. Fascinating and intriguing a brilliant book if your reading tastes lean towards cross-genre fiction and you can also appreciate the Chandleresque atmosphere of the series. Brilliant recommendations, Ayo, thank you! I have ‘Bluebird, Bluebird’ on my TBR and cannot wait to get to it. The other recommendations I have added to my wishlist! Ayo Onatade is a freelance crime fiction critic and blogger. She has written a number of articles on different aspects of crime fiction and has also given papers on the subject as well. She has an eclectic taste in crime fiction, which runs the gamut from historical crime ﬁction to hardboiled and short stories. Her research interests include historical fiction especially crime fiction and crime fiction literary criticism. She is also a visiting lecturer at Kingston University. My thanks to Ayo for joining me today. #R3COMM3ND3D is sadly drawing to a close for 2017. But make sure you join me again tomorrow when I welcome the awesome Claire Knight, guest reviewer over at CrimeBookJunkie. I am delighted to welcome another brilliant book blogger to damppebbles today, Rebecca Foster of Bookish Beck. Rebecca is an avid reader who manages to devour 300 books a year, although she is one of those lucky souls who gets to review books for a living. I am thrilled to have Rebecca join me today to reveal her #R3COMM3ND3D2017 reads. #R3COMM3ND3D2017 is where I invite authors and book bloggers to share the book love. To shout about three books they have loved over the past 12 months. Any author, any genre providing the book was published in 2017. The name Margery Williams Bianco might not seem familiar, but chances are you remember her classic children’s book, The Velveteen Rabbit. This lovely debut novel is about Margery and her daughter, Pamela Bianco, a painter and child prodigy. Themes of creativity, mental health, and motherhood are nestled in a highly visual book full of cameos by everyone from Pablo Picasso to Eugene O’Neill. This is a vivid, compassionate set of stories drawn from the author’s long career in heart surgery. Westaby conveys a keen sense of the adrenaline rush a surgeon gets while operating with the Grim Reaper looking on. I am not a little envious of all that he has achieved: not just saving the occasional life despite his high-mortality field – as if that weren’t enough – but also pioneering various artificial heart solutions and a tracheal bypass tube that’s named after him. Though it seems lighthearted on the surface, there’s a lot of meat to this tale of the long friendship between two female animators. The cartooning world and the Kentucky–New York City dichotomy together feel like a brand-new setting for a literary tragicomedy. I appreciated how Whitaker contrasts the women’s public and private personas and imagines their professional legacy (plus I love a good road trip narrative, and this debut novel has two). Thanks so much for joining me today, Rebecca and for your brilliant recommendations. Rebecca is an American transplant to England. She is a full-time freelancer, editing science journals and reviewing books for a number of print and online publications on both sides of the pond (besides her blog!). My thanks to Rebecca for joining me today. Make sure you stop by the blog again tomorrow when I will be welcoming Ayo Onatade of Shotsmag Confidential with her #R3COMM3ND3D2017 reads. I am thrilled to welcome another of my very favourite bloggers to damppebbles today, the very lovely Rachel Emms of Chillers Killers and Thrillers. Let’s face it, if I were setting up my blog all over again then I would want to call it Chillers Killers and Thrillers! I’ve always been a little bit smitten with Rachel’s blog (and the name of it!). Rachel has kindly agreed to share her #R3COMM3ND3D2017 reads with us today. #R3COMM3ND3D2017 is a chance for book bloggers and authors to share three of their favourite books with the rest of us. The only requirement being, the books must have published in 2017. It has everything you can want from a gritty police procedural; surprising twists and shocking truths, a compelling plot and a fantastic cast of characters who you can get under your skin in a number of ways. A brilliant story from the DI Marnie Rome Series. I just loved every minute of this book which had me literally gasping out loud with the many surprises and twists I couldn’t keep up with. The author expertly weaved five different point of view characters while still keeping a tight plot. I’m still not sure whose story was the most disturbing which made it all the better. This novel just packs a punch and is such an original and refreshing read, where the story is told in a series of Podcasts which allows the reader to come to their own conclusions about what exactly happened with this crime. Fabulous recommendations, thank you so much Rachel. I am SO HAPPY to see ‘Six Stories’ appear on your list. I have so much love for this book and it’s sequel, ‘Hydra’. Both brilliant books. I’m Rachel, a twenty-seven year old lover of books. And when I say I love them, I mean I obsess about them so much that I literally start dreaming about them. I absolutely adore immersing myself in stories, for me reading is a type of escapism which transports you into another world with characters who you like, hate, or just generally get frustrated at. A story is full of emotion; makes you laugh, cry and is just pure entertainment, which is one of the reasons why I would love to write and publish my own stories one day. My thanks to Rachel for joining me today. Make sure you stop by damppebbles again tomorrow when I will be welcoming Rebecca Foster of Bookish Beck with her #R3COMM3ND3D2017 reads. It is my great pleasure to welcome the ever so lovely Becca Burnton of If Only I Could Read Faster to damppebbles today. Becca has kindly agreed to hop over to damppebbles HQ and share her three #R3COMM3ND3D2017 reads. #R3COMM3ND3D2017 is an opportunity for book bloggers and authors to share the book love. An opportunity to shout about three MUST READ books. The only stipulation being, the books must have been published in 2017. I absolutely loved reading this book. It is actually the first historical fiction book that I have read having been convinced that I wouldn’t enjoy the genre. But I had decided that I needed to try and see if I really wouldn’t like the genre and I knew that this was the book to read as it had had so many amazing reviews. And now I know why! This book read so well and I could really feel the story, smell the smells and, well I just loved every page of it. This book has had a lot of hype but I read it before that started. At first I wasn’t sure about it, the main character sure has a strange way of talking for a start, but I soon got used to it and began to care really quite deeply about her. This book was wonderful, really well written and Eleanor is such a special character that will have a place in my heart for a long time to come. If you have read any of the Kim Stone series by Angela Marsons then you are really missing out. Broken Bones is the seventh book in the series, but not one of those books has been anything less than brilliant, but this one might be the best one yet. I loved reading it, the storyline was great and I really feel like I know the characters now. Marsons is a fabulous author with a real talent and I can’t wait for book eight! Thanks for your super recommendations, Becca. Glad to see a few familiar faces here (and yes, I still need to get myself a copy of ‘Dangerous Crossing’). As for the Kim Stone series, I’m in catch up mode at the moment. Love the Kim Stone series so much. I’m Becca, a forty year old single mother of boy/girl twins who are seven and a dog called Dotty. I’ve had various jobs over the years, from being a midwife and counsellor to working in a pet shop and boarding kennel. I love animals, cactus and hummingbirds. My thanks to Becca for joining me today. Pop by the blog again tomorrow when I will be welcoming Rachel Emms of Chillers Killers and Thrillers with her #R3COMM3ND3D2017 reads. I am thrilled to welcome another superb book blogger to damppebbles HQ today – the lovely Claire Ayres of BrizzleLass Books. What I love about Claire’s blog is that she tends to focus on Fantasy and Romance books, two genres which I don’t normally read but that doesn’t mean I don’t like to keep up to date with what’s going on! Claire has joined me today to share her #R3COMM3ND3D2017 reads. #R3COMM3ND3D2017 is a chance for book bloggers and authors to share three books they love. The only stipulation being, the books must have been published last year in 2017. I’m rarely completely speechless after finishing a book, I normally have a lot to say good or bad, but Blackwing left me utterly gobsmacked. It’s an exceptional debut by Ed McDonald which I couldn’t put down with a likeable but roguish lead character and world building which was intricate but easy to follow. I was completely absorbed into this novel and I have recommended it to people consistently since I read it in July. Not many people can pull off a book told from multiple points of view, with so much blood, guts, and gore that it’s practically pouring from the pages and yet Anna Stephens does it beautifully. This book is a bloodbath, it’s brutal. Each chapter is from a different point of view we have I think it’s ten characters to get to know, understand and follow and yet this author makes it so easy. I became invested in this story very early on. I also became incredibly attached to one of the most evil characters in the book, how does an author do that? This book is just everything that any fantasy fan should be looking for. I’ve just realised I’ve picked all debut novels for this, it’s been one of those years. Watching Glass Shatter broke me apart. I went through an entire box of tissues reading this book. It’s contemporary fiction at it’s best, a family devastated by the loss of its patriarch left with a mystery to unravel which brings with it the realisation there are a lot of secrets that need to be revealed. There are laughs, love and, well as I’ve said so many tears. This is an author who knows how to pull on the heart strings and get you to feel everything the characters are feeling. Thanks so much for your recommendations, Claire. I’m quite giddy because I’ve added ‘Godblind’ to my wishlist. My first fantasy read in a good few years. How could I not though when you use words like ‘brutal’ and ‘bloodbath’ and of course my favourite three words, ‘blood, guts and gore’! I’m BrizzleLass, aka Claire, I blog mainly about Fantasy and Romance, I live in Bristol and when I’m not blogging I can be found writing, volunteering at a mental health charity or going to a gig. Books are my bag as they say and if you want to talk about books I have all day free for you. My thanks to Claire for joining me today. Tomorrow I am thrilled to welcome the lovely Becca Burnton of If Only I Could Read Faster, so make sure you stop by again then.